On the back of #RUMPS Week 2017 brought to us by Go Real UK I thought I’d do a review for the Bloom Trial Pack, available here from my favourite ethical shop Babipur! Bloom & Nora are part of the company Tots Bots, which make Reuseable cloth nappies. I have used (and am still using) their nappies since 2010. I figured their reuseable sanitary pads were definitely worth a bash – and just like the nappies I couldn’t resist the bright bold prints! Bloom are bamboo topped pads and Nora are topped with microfibre. I fancied Bloom purely because some of my muff fluff stash is bamboo and I know that works for me! The trial pack contains a wet bag and 4 different sizes of pad. Mini, midi, maxi and mighty in 4 different colours. 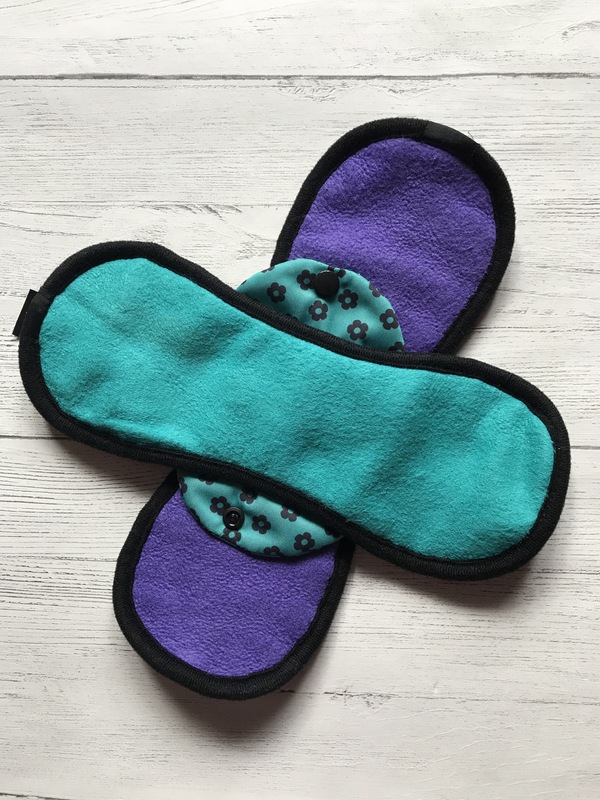 They are all bamboo topped pads, fleece like to the touch with varying strengths of absorbent core and all feature a waterproof backing to prevent leaks. 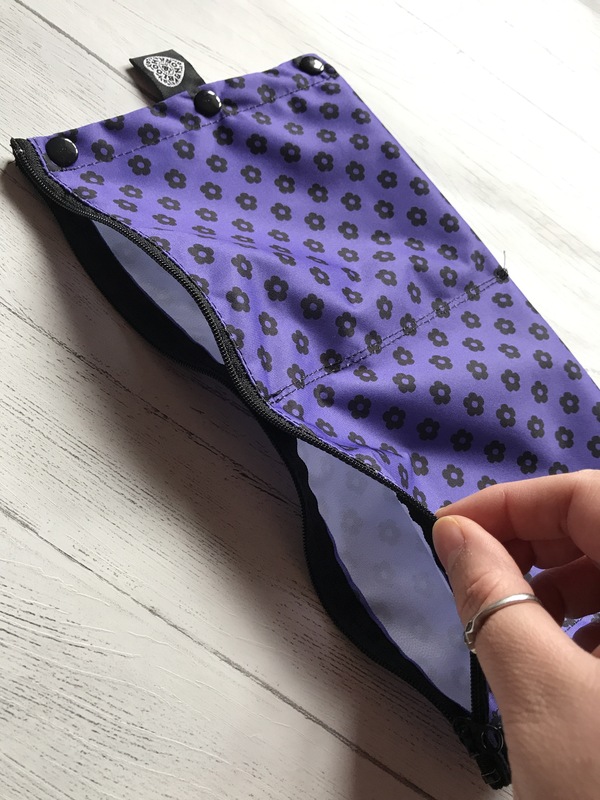 The mini is handy as a liner for the last day of your period or as back up if you use a cup. It can even be used for incontinence. The midi and maxi are perfect for daytime use for medium to heavy flow depending on what suits you. The mighty is amazing for nighttime and can even be used post partum. The wet bag is extremely clever. 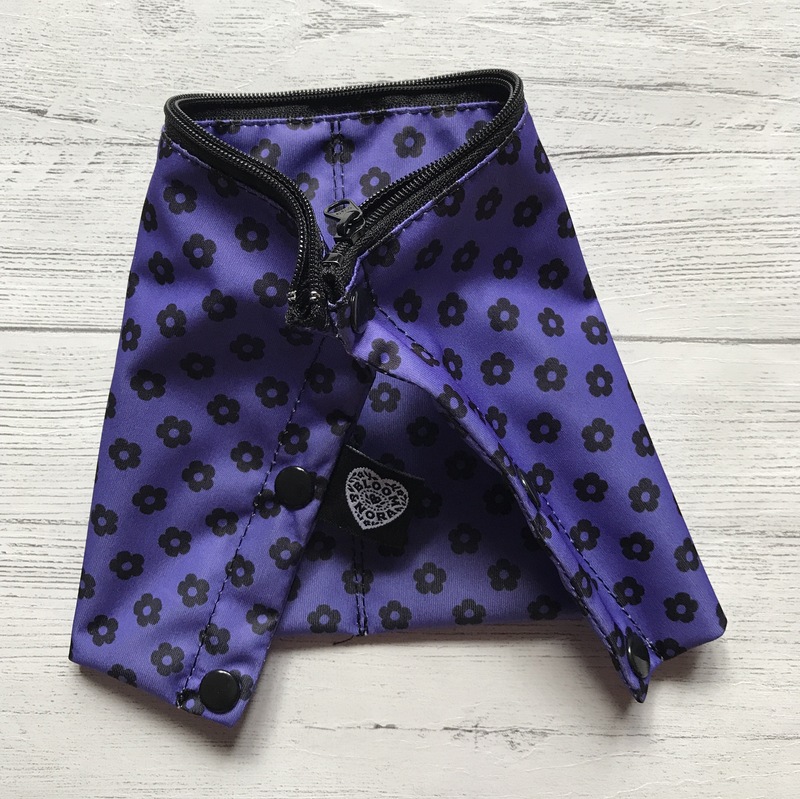 It has two inner pockets to conveniently store both your dry and used pads. I’m definitely going to get another one of these. It has poppers too so it folds in half making it perfectly discreet for popping in your bag when out and about. A well timed monthly visit has enabled me to give these pads a thorough testing! They are brilliant. The water proof backing meant there were no leaks, even overnight. The secure popper fastening meant they were held in place and stayed put. They have washed well, several times now and are still deliciously soft to the touch. I particularly like the binding on the pads which ensures there are no leaks. This is a detail I’ve never seen before on cloth pads. I thought at first it might be uncomfortable or I’d be aware of the edges of the pad, but I never felt a thing! 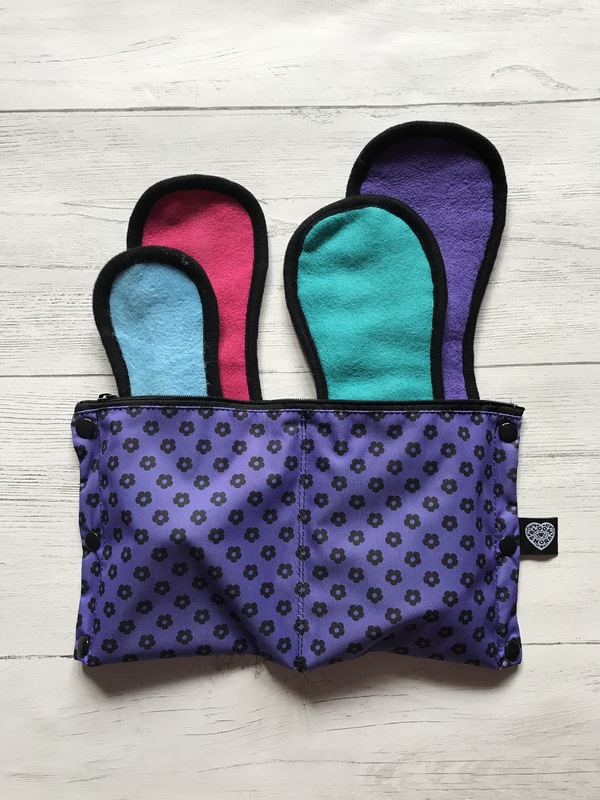 Now I’m going to have to save some pennies to get the Nora Trial Pack – mainly because I’m perversely curious to see the difference between the Bloom’s bamboo and Nora’s microfibre for myself! Any excuse… ! 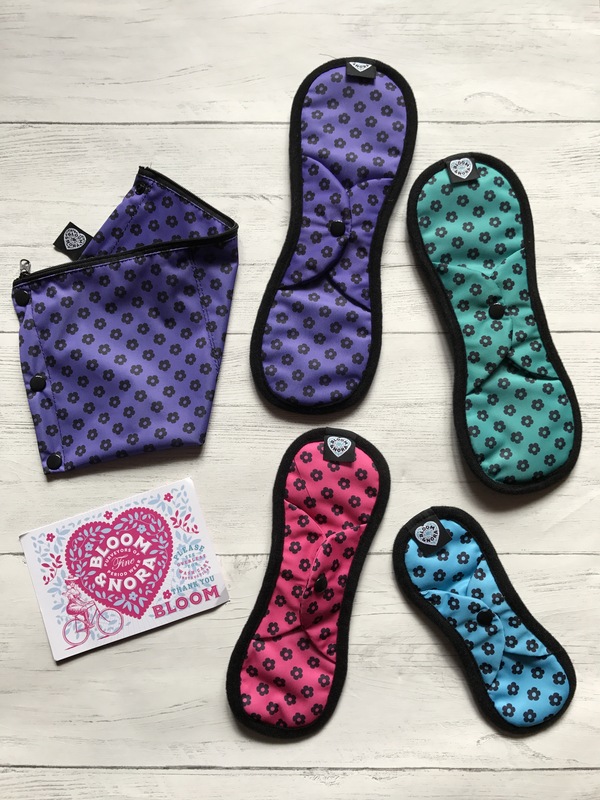 Bloom and Nora cloth pads are ethically made right here in the UK. The link to Babipur’s CSP section is here. The code BUDDY will get you 10% off. Whoops sorry- was trying it on the bloom and nora site rather than Babipur! !